This Nordstrand NJ4 Jazz Bass pickup set is a vintage single coil J style pickup made with 60’s era correct heavy formvar wire and Alnico V magnets. 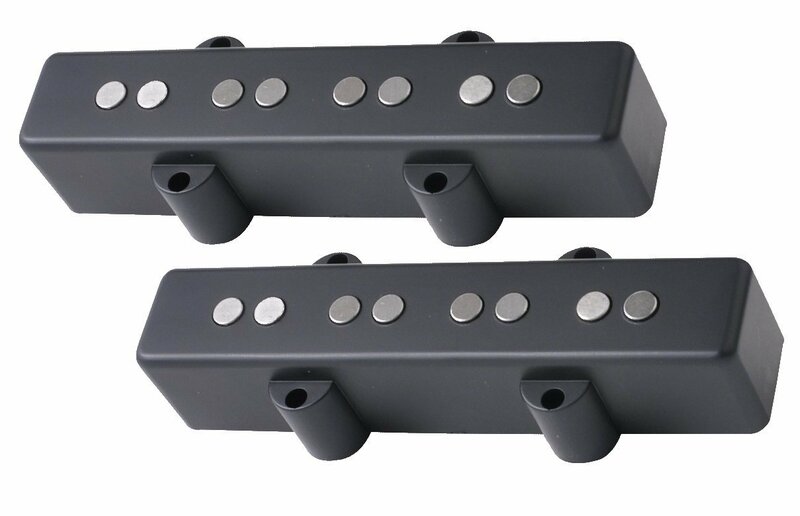 In winding these pickups Nordstrand uses a simulated hand wound pattern that lowers the resonant peak of the pickup resulting in a pleasing yet present high end. These pickups have a very even and full sound with that snap and grind associated with the classic basses of that time. Includes black covers (exposed pole pieces).